As the establishing of a Secretariat for Communication among the offices of the Roman Curia seems imminent, the closing of a missionary magazine has again led to questions about the very communication of faith to the peripheries of the world, Pope Francis’ favorite theme. While communications are ever more professionalized (a needed professionalization, indeed) the missionary ideal is always more impoverished. It is paradoxical, considering that Pope Francis has said time and again – and even put it in writing in the exhortation Evangelii Gaudium – that the Church must be in a state of permanent mission. Father Gheddo’s words represent a tough diagnosis, which both John Paul II and Benedict XVI were aware of. John Paul II re-focused on Jesus Christ and on the truth of the Gospel, issuing the encyclicals Redemptor Hominis (1979) and Veritatis Splendor (1993). Moreover: Observing an aimless drift following the largely symbolic gestures of interreligious meetings, John Paul II issued the Redemptoris Missio, an encyclical which has as its starting point the Church’s evangelizing strength and is a response to the drifting which came from the impoverishment of the Catholic missionary vitality. A vitality watered down in an indistinct dialogue with other religions and cultures which even discounted the will to respond to the call to announce the Truth and ask for the conversion to Christ, the only Savior. It was 1990. After that, John Paul II redoubled his efforts. He then gave his consent to the release of “Dominus Iesus”, a declaration of the Congregation for the Doctrine of the Faith full of quotations from the Second Vatican Council and intended to put things on the right track. Benedict XVI carried on strongly on this path, well aware of the problems. As an expert advisor in the Second Vatican Council, Joseph Ratzinger was among those gathered in the house of Verbites, in Nemi (not far from Rome), to re-draft the Conciliar document Ad Gentes, on the missionary call. The first draft of the document had been strongly criticized by Cardinal Frings, Archbishop of Koln, who had appointed Ratzinger as his expert. What about nowadays? Are new things rising or is the Church simply adjusting to the spirit of the world? This question is a must, following John Paul II’s and Benedict XVI’s pontificates, and as Pope Francis has recently reached his first year as pontiff. Following John Paul II’s legacy, Benedict XVI has once again placed Christ at the center of it all, with his books on Jesus of Nazareth and making truth a measure for all things. He made it clear that, first of all, one must speak about God, about the joy of the faith, more than about precepts. 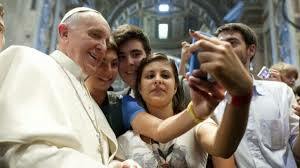 He praised the secularization waves that have allowed the Church to un-mundanize itself and become more spiritual. But he also warned us not to detached ourselves, ever, from truth and justice. This is the drama of the real Council and the Council of the media, that Benedict XVI addressed in his last, off-the-cuff speech to the Roman clergy on February 13, 2013. 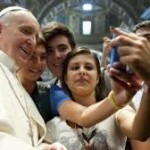 After the pontificate of Benedict XVI, everything seemed to be concentrated on problems of image. Even during the pre-conclave meetings, Benedict XVI’s pontificate was described on the basis of the media perception of the Church. Countermeasures had already been taken in order to improve the media’s perception. Already under Benedict XVI, the Secretariat of State appointed an advisor for communications, Greg Burke, while Msgr. Dario Edoardo Viganò was appointed director of Vatican Television just before Benedict XVI resigned. Under a Pope like Francis, who wants to put the Church in a state of permanent mission and whose magisterium’s most important aspects (although not officially) are contained in the homilies he delivers every morning in the Domus Sanctae Marthae, it seems that communications strategies have prevailed over the Gospel. These strategies risk making the message of the Pope disappear, leaving just his image on stage. This is seen in the carefully-planned release of the pictures showing Pope Francis paying for his accommodations at the House of the Clergy where he had lived during the Conclave meetings; of the pictures showing the Pope personally carrying his black briefcase while heading to the plane; or the aura built around the fact that he refused to live in the Apostolic palace. All this is risking to put his magisterium aside, that of “going to the roots” that the same Pope Francis deem to be the real revolution, as he explained in a recent interview granted to the Spanish news daily La Vanguardia. This is a time when it seems that the Gospel is being put aside, while myths are being elevated. For instance, to explain his Christian commitment Alessandro Sortino (the new deputy director of TV 2000, the Italian Bishops’ Conference television station) quoted the pop/rap Italian singer Jovanotti rather than the Gospel. And it seems that the same television has accepted secularization in choosing a director who had been working previously in the Italian State-run television broadcaster RAI, under socialist/communist influences (the Italian state-run broadcaster has always been an expression of the political parties). A path for the professionalization of people nurtured in the ranks of the Church, in the light of the Gospel, should be possible, but it is not the one that is being followed. The Church is loved when she speaks up on social issues, when she proclaims her commitment to the poor, when she is present at marches for disarmament. The Church is not liked when she speaks about the truth of the Gospel, the sole truth she is based on. Perhaps, more than a spin doctor for communications, there is the need for people who are really willing to quote the Gospel. These are all issues which Monsignor Paul Tighe will have to think carefully about. He is currently the number two of the Pontifical Council for Social Communications, and is rumored to be at the top of a list of names to lead the Secretariat for Communications. The announcement of the Gospel in all its richness must be the priority, and come before any pragmatic consideration. Like other new offices, this Secretariat could be established without statutes (they will be drafted later). Its realm of responsibilities are to be identified, and there will be a fight about it. But the true fight must always be that of proclaiming the Gospel. I think that must be consulted really laics,people who live the sanctity in the middle of the world, with a profissional work who have a doctrinal catholic formation, married or not,certainly you knew Joaquim Navarro Valls the official portavoice of JP II. People who live and work everywhere also in the periferies.Its clear that Opus Dei was born with this carisma, and have to fight in that time with those who only saw the desire of power…..